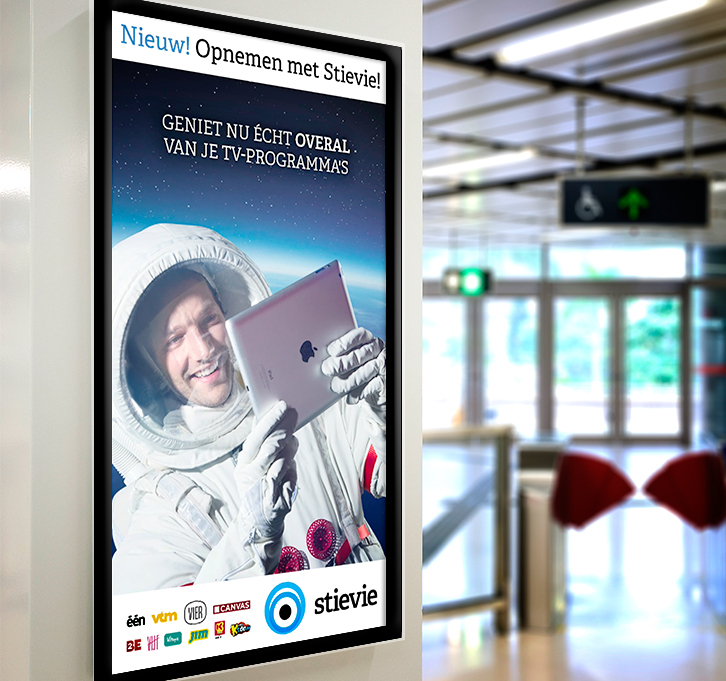 Stievie already made it possible for their users to watch TV shows live or postponed. Now they offered a new ‘Offline’ feature: TV shows can be recorded on your device so you can watch them wherever and whenever you want – even without wifi or mobile data connection. To emphasize this we worked out a TV commercial showing the different situations you could use Stievie in. It starts with a normal family room, to a hunting cabin in the woods, to… space! 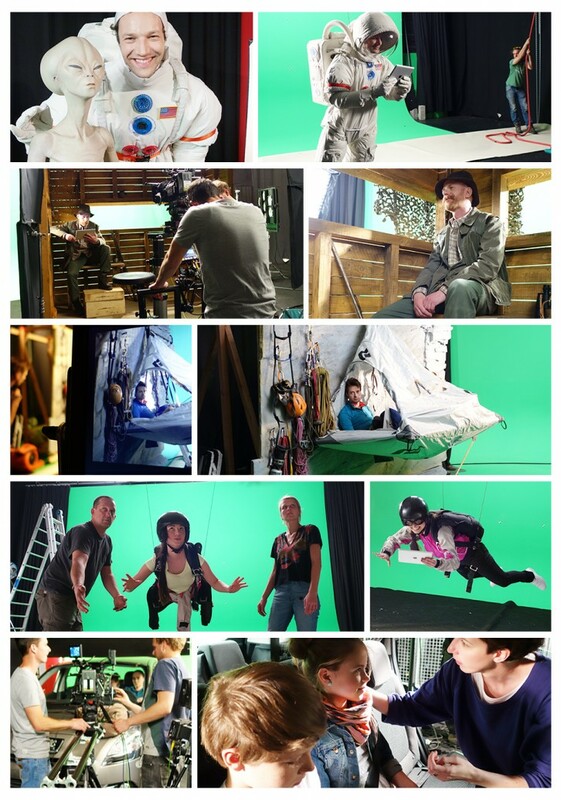 Sadly we couldn’t shoot our TV commercial in space, so we went for green key instead. Let’s treat you guys on some ‘behind the scenes’ photographs! What’s a good TV commercial without a fitting radio version? 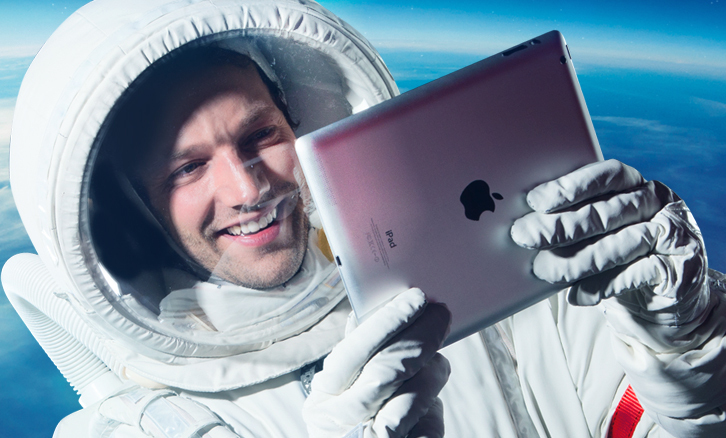 We came up with a funny version of the astronaut in space. Apart from content for TV and radio we made bannering for websites, but also for digital screens placed in f.e. train stations.